Connectez sans fil jusqu'à 3 smartphones ou tablettes à votre enceinte et diffusez tour à tour un puissant son stéréo. Prenez des appels au son cristallin depuis votre enceinte en appuyant simplement sur un bouton grâce au microphone à réduction de bruit et d'écho. Ne vous inquiétez plus de la pluie ou des éclaboussures ! Vous pouvez même immerger la Charge 3 dans l'eau. Construisez votre propre écosystème sans fil en reliant plusieurs enceintes équipées de la fonction JBL Connect pour une expérience d'écoute amplifiée. Le tissus résistant et la robustesse du boîtier en caoutchouc permettent à votre enceinte de survivre à toutes vos aventures. Écoutez les basses, ressentez les basses, admirez les basses. Les double boomers passifs externes démontrent à quel point votre enceinte est puissante. Accédez à Siri ou Google Now depuis votre enceinte JBL en appuyant simplement sur un bouton. 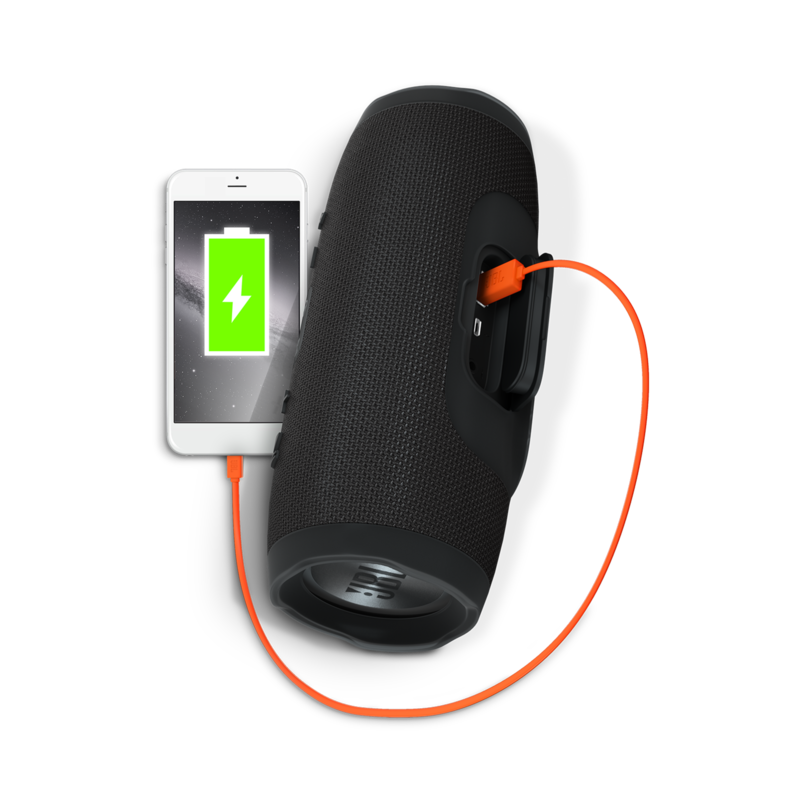 La Charge 3 JBL est le nec plus ultra en matière d'enceintes Bluetooth portables très puissantes, combinant dans un seul produit un puissant son stéréo et un chargeur power bank. La Charge 3 vous permet de faire la fête partout, au bord de la piscine ou sous la pluie, grâce à sa conception étanche, à son tissu résistant et à son boîtier robuste. Sa batterie à haute capacité de 6000 mAh offre 20 heures d'autonomie et peut recharger vos smartphones et tablettes via la sortie USB. Un kit mains-libres réduisant le bruit et l'écho vous garantit des appels au son cristallin en appuyant simplement sur un bouton. Reliez entre elles sans fil des enceintes dotées de la fonction JBL Connect et amplifiez votre expérience d'écoute. JBL Charge 3 est évalué 4.6 de 5 de 2572. 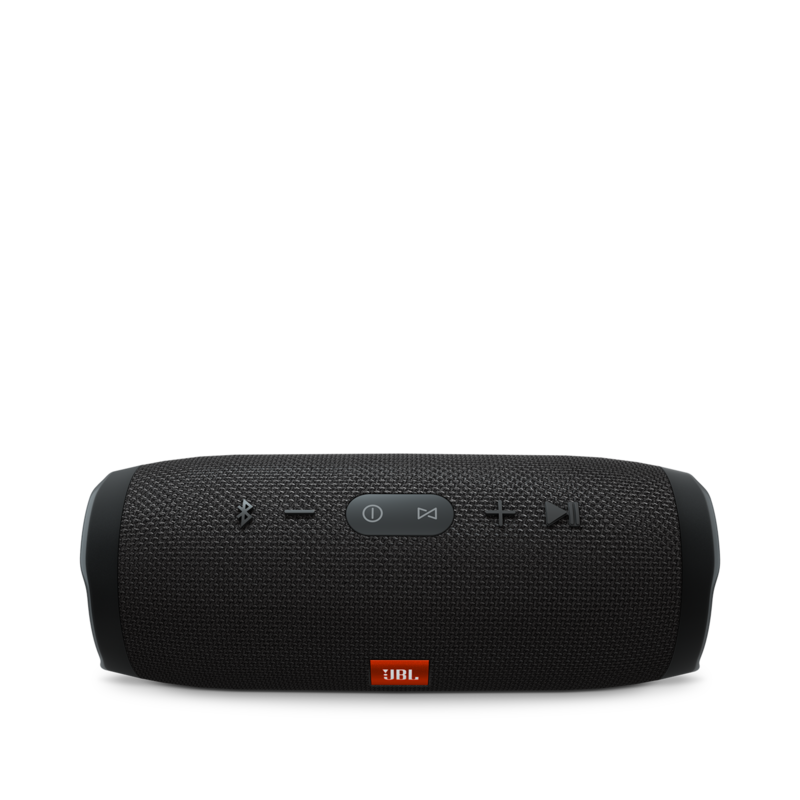 Rated 5 de 5 de MrBF par Excellent piece of kit I have to start by saying that I have a boatload of Bluetooth speakers, mostly lower cost, as I'm always after great deals, but in finding the charge 3, I think I can stop. The combination of sound quality, build quality, usability (micro usb charging), Google, cost, volume, battery life, connectivity with my flip 3, water proofing and general robustness makes this simply a must-buy! Although about twice the size of the equally brilliant flip 3, it's still pretty compact, but it certainly delivers of the sound you get. I can't recommend this enough, look out for the glowing reviews on YouTube and buy with confidence that you won't be disappointed. Rated 5 de 5 de Naomi par Great speaker, true sound This is an awesome speaker for the price, totally worth it. Some speakers have poor equalizers, where the bass or treble is too heavy or too light, but all music played on this bad boy sounds awesome and not distorted. It's super resilient after doing some testing on the waterproofness, and the added feature of charging your devices on it is awesome. Battery life is also really good! One complaint would be that it seems like it takes quite a while to charge back up once it dies completely. I feel like it stays on one bar forever while waiting for it to charge, even when not in use. Other than that, my new favorite portable speaker. Rated 5 de 5 de ewg01 par Near Perfect Impressed. Easy to set up and for the size the sound is tremendous, reproduces clearly and without distortion. Bluetooth range is as expected and seems stable. I was so impressed I bought a second one. Speaker pairing worked without a problem. I did listen to Bose and Sonos which each have merits but for an elegant non-boxy great sounding speaker this JBL C3 is a bargain, even at full price. 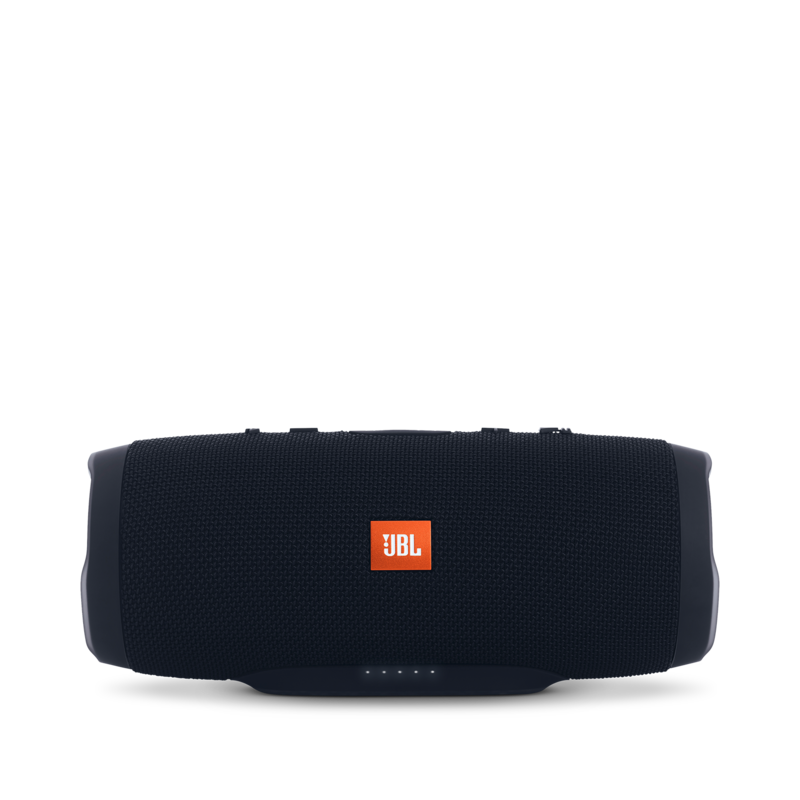 The supporting app (JBL Connect) has very few features but serves as the pathway for firmware updates. Only negative is the far too loud default startup/shutdown sound which oddly cannot be adjusted, in fact it is getting really annoying! Rated 3 de 5 de steReoPaiRing par Good Sound Quality, Annoying Noise I love the Charge 3 because it .. + has a good (well balanced) sound quality + has a long runtime + supports convenient charging via micro-usb + supports stereo pairing (two speaker can be connect as a stereo system) The only thing i really dislike about this speaker is the loud noise when .. - its turned on/off (annoying guitar noise) - its connected via bluetooth (ping-ping noise) - a stereo pairing is established (ping-ping noise) Because of this loud and IMHO unnecessary noises its nearly impossible to use this speaker in a quiet environment. Therefore i can give only 3 stars out of 5. But i would change my rating to 5 stars if this noises could be disabled. Rated 5 de 5 de Sonnyboythefifth par Great little speaker I'm pleased with this overall. For the size, spec, fit and finish this is a well priced portable Bluetooth speaker. When at home I position it on an open shelf on a pine bookcase and it warms the bass a little. This is not a criticism of the unit; rather an innocent observation. It looks and feels like it'll last forever! It handles all genres of music really well, but don't expect it to replace your hifi obviously. JBL's 'Extreme' is probably more suited for this. Great for playing music on the move, barbies etc. The only niggle I have is when playing my iPad through it the music pauses to allow emails to come through. There may be an answer to this, but haven't really investigated yet. Overall though.....chuffed!!! 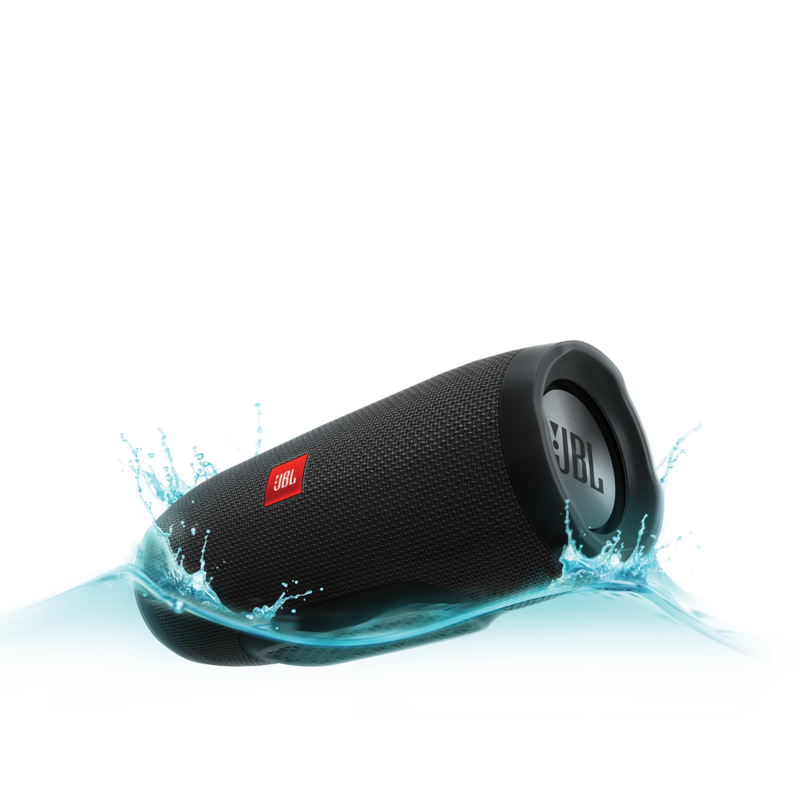 Rated 5 de 5 de Darikoss par Great portable and home speaker JBL Charge 3 is a great speaker, for home or outside use. 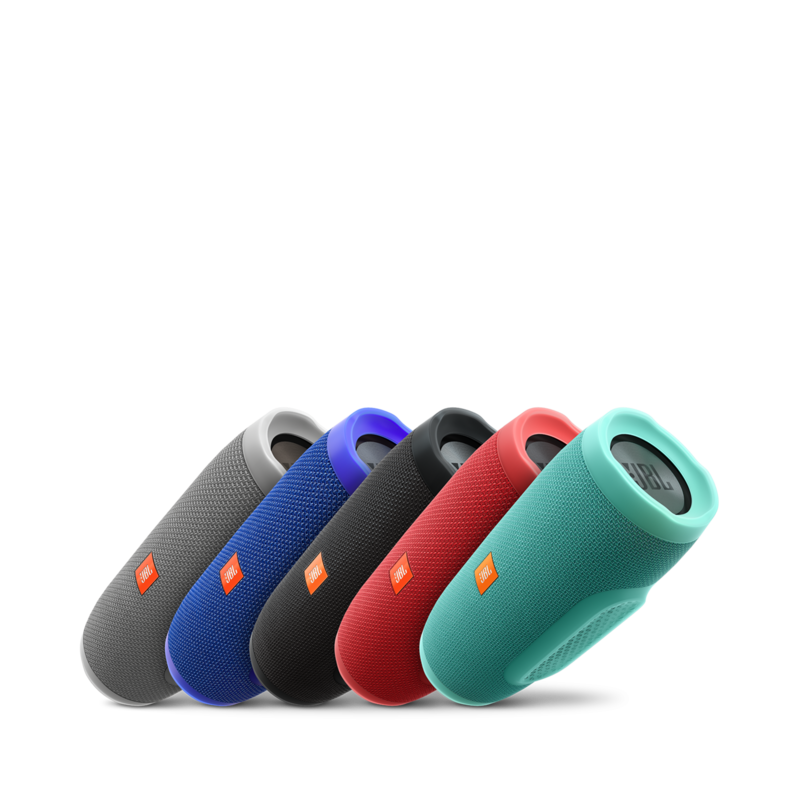 It has great features like JBL connect or IPx7 waterproof. 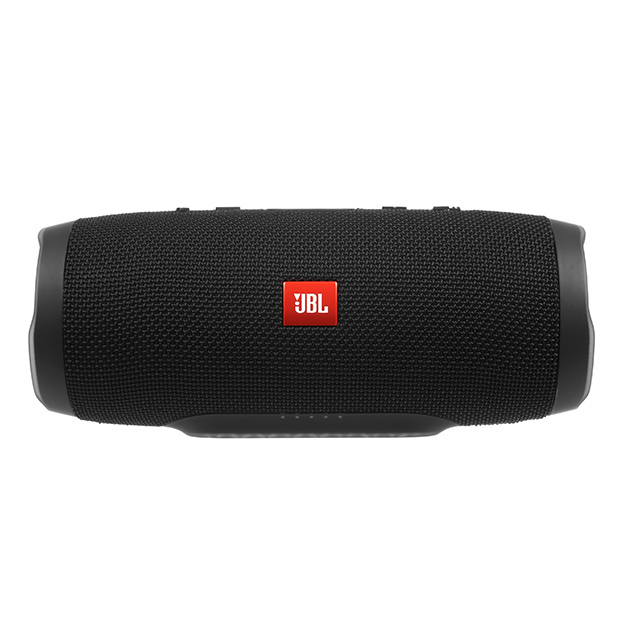 Sound quality is what you expect when purchasing JBL products and I will tell you that at this price point it will beat most, if not all speakers out there. It lacks in the 360 sound which modern speakers are built nowadays, but the bass in this speaker is what makes it one of the best. Bass keeps up even at 100% volume, where most speakers would cut it out mostly. Overall great speaker with a good sound quality. Rated 5 de 5 de Darrenra par Quality Speaker! This is my first bluetooth speaker. It was extremely easy to pair with my phone and laptop PC. The sound quality is amazing for this little speaker. I live in a 1600 sqft condo and it plenty loud to fill my entire unit. Loud enough to throw a party and entertain. The battery life is phenomenal. I have been playing it for about 3 hrs everyday for the last 7 days and the battery meter has only decreased by 1 bar out of 5! It's the energizer bunny. I like to use this speak while watching Netflix on my PC, and while listening to Pandora on my cellphone.